Prototype: French State Railways (SNCF) fast general-purpose locomotive, road number BB-22270. 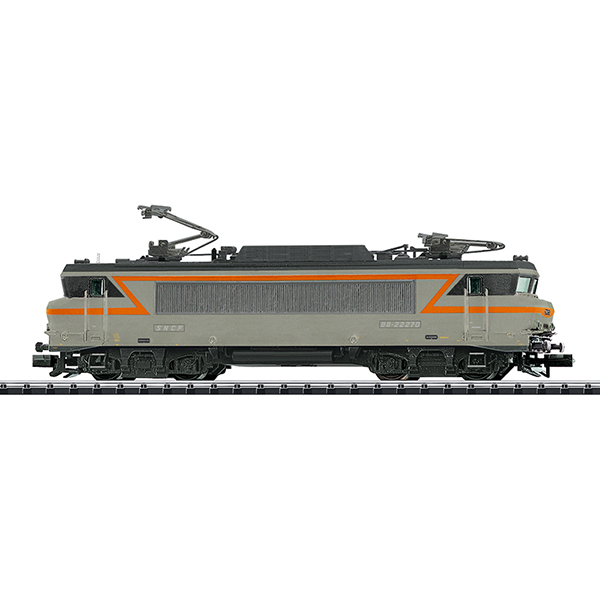 Universal locomotive with the technical features of a multiple system locomotive. Version in the "Beton-Plaques" paint scheme and with 2 pantographs. Model: The locomotive has a digital interface connector. It also has a 5-pole motor with a flywheel. 4 axles powered. Traction tires. The locomotive has a close coupler mechanism. Length over the buffers 109 mm / 4-5/16".